The producers of the highest-grossing Spanish film ever and its sequel, Spanish Affair 1&2, deliver another box-office hit. The best Spanish opening of 2017, FOR YOUR OWN GOOD, is a fresh family comedy that gets audiences all over the world laughing. 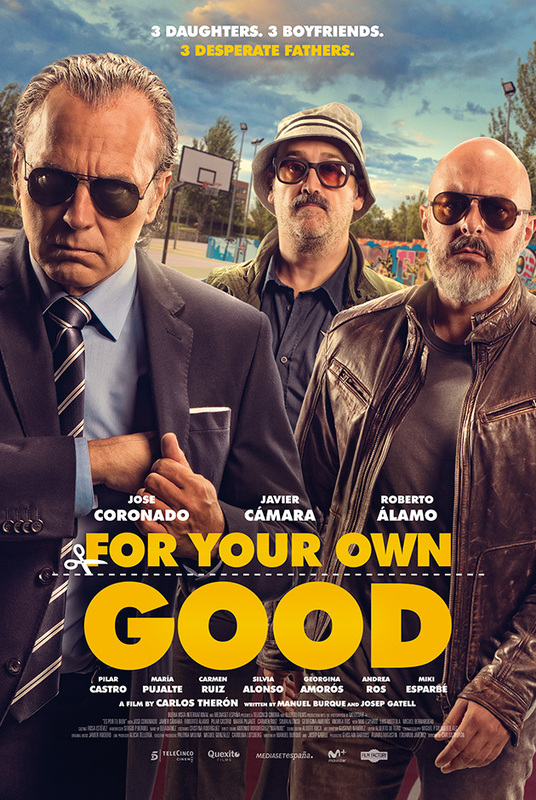 This screwball comedy brings together the best cast Spain has on offer. The worst nightmare for the father of a daughter is the day that she introduces her boyfriend… who inevitably turns out to be utterly despicable, and who only wants one thing from his beloved little girl. And that is precisely the day that arrives for Arturo, Poli and Chus. Their sweet daughters have decided to ruin their future with three loathsome boyfriends. The only solution is to join forces to get rid of them no matter what it takes. This is war!